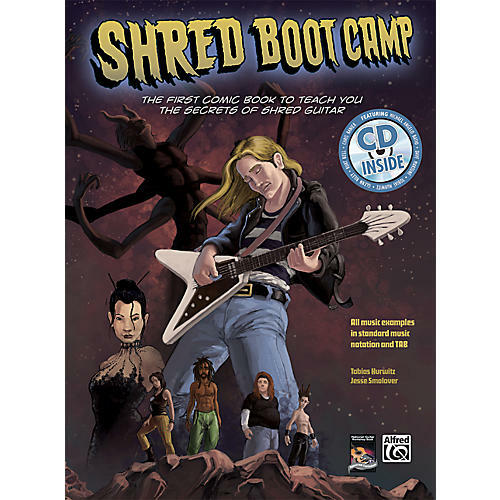 Shred Boot Camp is the first comic book of its kind: a complete book and CD package with guitar lessons that guide you through an adventurous journey of saving the human race while teaching you to shred like a pro. By performing heavy metal pyrotechnics on your guitar, you proceed through a 5-week mission to save the planet. Get instruction that exposes you to the most challenging licks from The Shred Squadron. Caution: shred at your own risk-the world is depending on you!